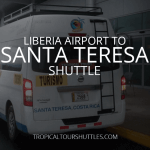 Tropical Tours Shuttles: from San Jose to Santa Teresa we offer daily shared shuttle bus services and private minibus transportation. 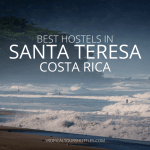 Price ranges to Santa Teresa beach and Mal Pais starting at: $50 per person on shared shuttles departing at 05:30am, 07:15am and 02:00pm. 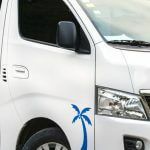 $240 per trip for a private minibus. 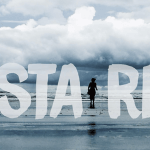 It’s a 5 hour ride from San Jose city in Costa Rica to Santa Teresa beach in Puntarenas, Costa Rica. Easy to book, shuttle was on time and drivers were friendly. I went from San Jose to Santa Teresa. Our second driver drove scarily fast but it was efficient and all in all, safe. 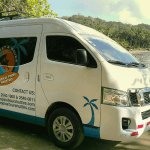 Tropical Tours is a very efficient way to travel from San Jose to Mal Pais Beach. The drivers were both friendly and safe drivers. They made every effort to ensure our comfort and we could not have had a better experience. 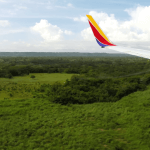 First time in Costa Rica so booked the shuttle from San Jose to Santa Teresa and back. It included the ferry ride which was all arranged for us. Comfortable, clean vehicle and friendly drivers. 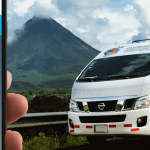 Departure place: at your location (hotel, hostel or house in San Jose city). 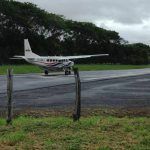 Our door to door minibus shuttle service will take you safe and directly from your hotel, hostel or rental house in San Jose city to Santa Teresa beach in Mal Pais, Costa Rica. 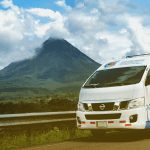 Costa Rica is a beautiful country, but the infrastructure is uncertain and our geography doesn’t help either, that’s why in some sections of the route you will have to go through bumpy and dusty roads on your way to Santa Teresa.